You’ve begged for it, and now it’s here! This amazing supplement to our Sun Kissed Pack is specially formulated to reduce wrinkles, puffiness, and laugh lines around your eyes (and everywhere else)! And like all True Love products, it does this by providing direct, balanced, natural nutrition right where it’s needed. 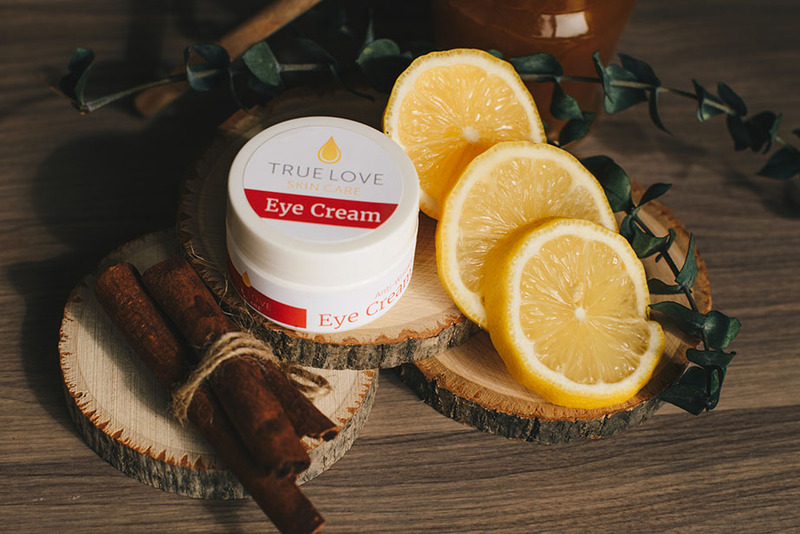 Starting from a base of Pure Virgin Olive Oil and Raw Honey, we’ve added all the goodies that True Love is known for – minerals, plant extracts, and a special blend of essential oils – to give your skin what it needs to be truly healthy & make you look and feel amazing! Apply a small amount around eyes and other areas you would like to have reduced wrinkles or puffiness. Be careful not to get directly in eyes as it may causes stinging or other discomfort. If this happens, rinse with lukewarm water.